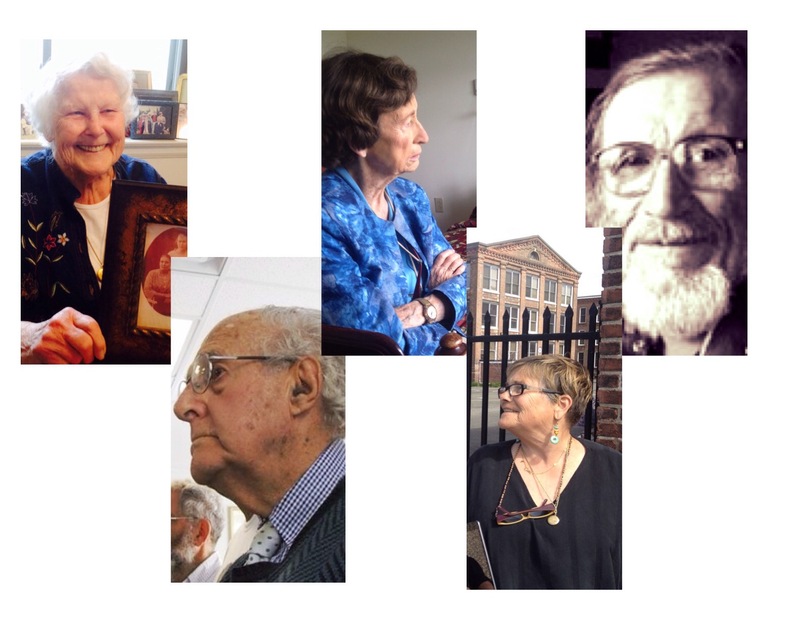 (left to right) Eleanor Kivela, Al Marder, Rénice Alban, Robbin Henderson, Harry Siitonen. Rénice Alban, age 90, is the daughter of Pierce T. Wetter. Pierce was arrested in 1917 in a nationwide roundup of more than one hundred IWW activists for opposing the U.S. entry into the first World War. He and many others were imprisoned; Pierce served five years in the Cook County Jail in Chicago and the Leavenworth, Kansas Penitentiary. 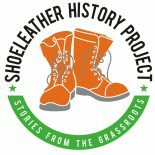 His brother Telfair ran the Baltimore IWW office during this period. Her dad taught her the song. This was the first time she had sung it since she was a young girl. Now, living in a Hartford-area retirement community, Rénice began to remember more. She knew he had written an article on behalf of those still imprisoned. “It’s in Joyce Kornbluh’s book [Rebel Voices],” she recalled. Pierce had moved to Brooklyn by 1923 and studied to become a mechanical engineer. He and his family lived on Washington Square in Manhattan with Robertson Trowbridge (who had adopted Pierce at a late age). There he continued to fight the power, challenging Robert Moses, the controversial “master builder” of New York City. Pierce felt the rage of Robert Moses when the mogul used red baiting and ad hominem attacks against the activist during this fight. Moses, referring to the activist’s IWW membership, publicly called Pierce “one of a gang of thugs and saboteurs who interfered with the military and civil works of the United State government during the World War.” Pierce Wetter “did not have a single characteristic of a Quaker,” Moses sputtered, and he deserved “a good public sock in the jaw.” Fort Clinton is now a national monument. Pierce Wetter was pardoned by Franklin D. Roosevelt in 1933. He died at the age of 68 on May 10,1963. Finnish immigrant support for the IWW was strong, and Connecticut Finns were no exception. The Finnish Socialist Federation (FSF) was formed in 1906, with over 200 locals across the country, one year after the birth of the IWW. When Wobblies were expelled en masse from the Socialist Party in 1913, several thousand Finns were banned as well, according to historian Richard Lenzi. 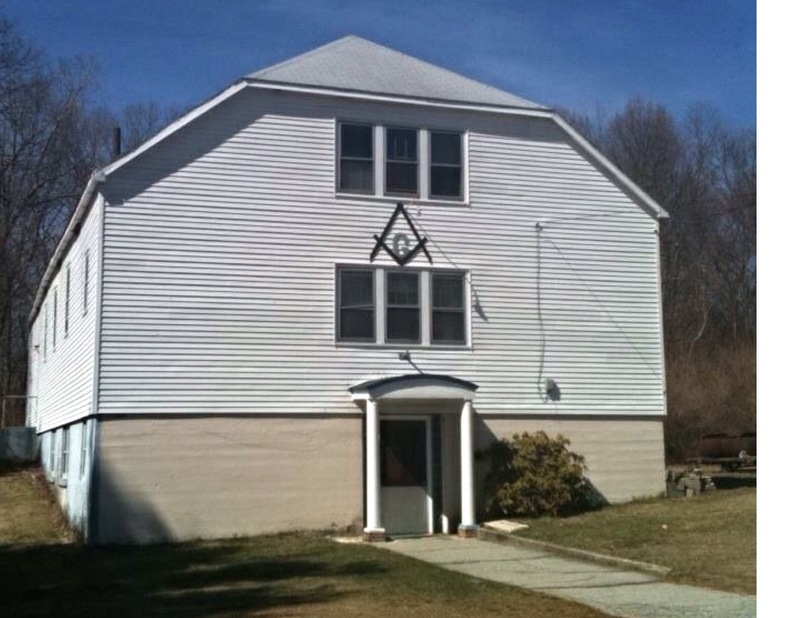 Wobbly Hall, Brooklyn, CT (now a Masons’ hall). One of Harry Siitonen’s earliest memories was being taken to an IWW event– a chicken dinner with corn on the cob. Harry was born in 1926, and was immersed in radical politics at a young age. His mother Hannah went on strike at a dairy farm when she was only 15 in southeastern Finland; his father worked as an apprentice baker when he was twelve years old. Now 91 years of age, he is believed to the IWW’s oldest living member. Harry formally joined the union in 1969 and served one term as the IWW General Secretary when the headquarters was in San Francisco. He has been a dedicated radical activist all his life. Harry’s family was well-known among in the Wobbly community of northeastern Connecticut. Harry’s father moved to Canterbury, next door to Brooklyn where he and his wife Hannah started a chicken farm. They joined the United Farmers Co-op, a highly successful effort founded by Finn Wobs and socialists in the region. In the 1930s, Harry’s uncle August Siitonen opened the Wayside Baking Company in Central Village, Connecticut. The business was close to Rhode Island, just south of the Brooklyn IWW hall. August was a Social Democrat, but there was a great deal of intermingling between Finn socialists and Wobblies despite periodic schisms on both the national and international levels. August’s bread route included many Finnish Wobs living along the Connecticut and Rhode Island border. He advertised his business in the IWW’s newspaper Industrialisti. Another of Harry’s relatives was his “class warrior uncle” Antti Saikkonen. Born in 1891, Antii came to the United States when he was sixteen years old. He worked as a logger in Maine and held a Wobbly red membership card from 1908 until his premature death in 1917 while working in a gold mine in British Columbia. “The year my parents were married, my mother lost her beloved older brother at the age of 27. In the winter months Antti and a Finn Wobbly fellow worker decided to ride the freights to British Columbia, where there were prospects of work. While riding the rods, both came down with severe colds. They got to Minnesota and Antti’s partner died of pneumonia. Although not fully recovered, Antti buried his friend in Minnesota and continued his boxcar odyssey to the West Coast. He went to work in a gold mine somewhere near Vancouver, B.C. his cold got worse and he, too, came down with pneumonia and died. The Finnish community in the U.S. sustained four daily periodicals besides Industrialisti. Reading this IWW newspaper is one of Eleanor Kivela earliest memories. Eleanor’s father Arvid was a Wobbly in Plainfield, Connecticut where the family raised chickens and sold vegetables from their truck farm. All Finns, including Wobblies, belonged to the various regional farmer cooperatives that operated successfully for decades. Many of the Finnish families who settled in the eastern part of the state, from Waterford to Canterbury, had emigrated from New York. The FSF had a large hall in Harlem that was the site of many dances and cultural events, especially on Thursdays, the one day off that domestic workers traditionally had off. Eleanor’s father and mother first met at one of those dances. Arvid Kivela had been a miner in Canada when he moved to Minnesota, which had a sizable Finnish community and a significant IWW presence (Duluth organized the Work People’s College, an oust dancing example of worker education). It is likely here that Arvid first learned about the Wobblies. 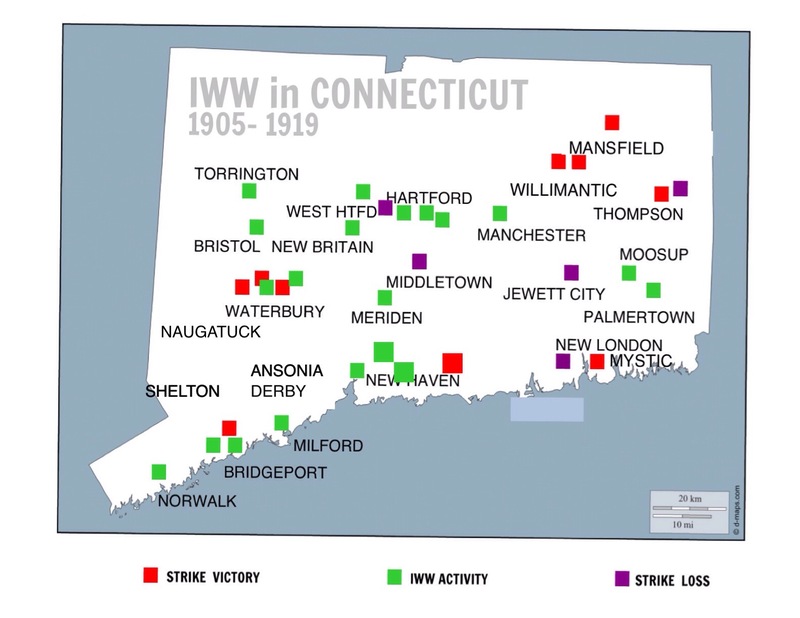 While IWW strength in Connecticut faded in the 1920s, the Wobblies still had a support circle, known as a kannatusrengas, well into the 1930s. In May, 1935 the local Wobs bought land in Brooklyn, Connecticut on Route 6, Danielson Road. They built a three-floor structure that could hold hundreds of people. It still stands as the last hall to survive the original Wobblies in that area. While Eleanor and her family spent more time at the Canterbury socialist hall, the Kivelas also traveled to the IWW Brooklyn hall for community events. The building opened its doors to local communists, non-radical groups, and the Unitarian Church. Eleanor’s father became a carpenter, skills he learned when he first moved to New York from Minnesota. He was also a bootlegger. One of his customers was the New York Police Department, according to family legend. Mutual aid and SISU were complementary work ethics that Wobbly families like the Siitonens and Kivelas practiced. Finns pooled their resources and helped others who were new to the area or had suffered personal tragedies. SISU (see’-soo) is defined as a spirit of the heart: determination, grit, bravery. It is also the spirit of self sacrifice, which certainly descibes the life of Pierce Wetter. It’s a good way to describe Wobblies past and present. This entry was posted on August 20, 2016 by Steve Thornton in Hartford.